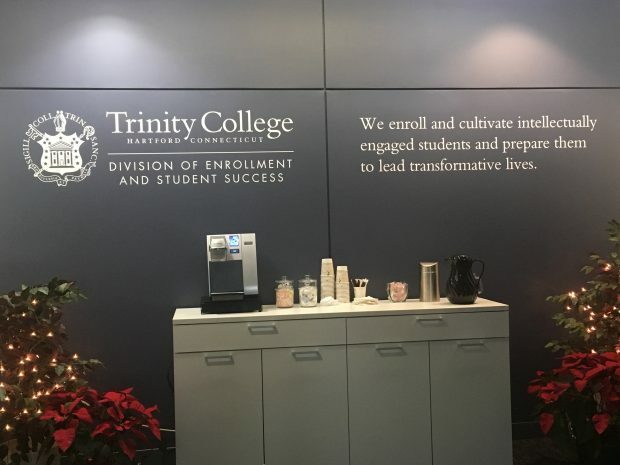 The Trinity College Admissions Department introduced a new program to find new students. The program, called “Nominate a Bantam,” is designed to attract “intellectually curious, engaged students who want to be in an urban environment, where the campus does not begin and end with the walls,” said Vice President of Enrollment and Student Success Angel B. Pérez. The program allows current Trinity students to submit the names of high school seniors for consideration. As a courtesy, the College will waive the Common Application fee for those students and their nomination will be noted in the student’s file. Pérez, speaking to the Tripod, added that a nomination “does not guarantee admittance,” but is treated in a manner commensurate with nomination letters that Trinity’s Admissions Department receives from alumni and other individuals. Upon being nominated, the prospective student(s) are notified of their nomination and are then invited to apply. While the program does seek to provide another avenue for nominations, Pérez stated that the “Nominate a Bantam” program is another “field that we will add to that application” and is another means by which the College can assess the qualifications of prospective students. Students who submitted nominations, said Pérez, have made the statement that “there are students who are passionate about shaping the student body here.” Pérez noted that nominations and letters of support are frequently received by faculty and by alumni and that the “Nominate a Bantam” program is a way for current students to get involved in the next generation of Trinity students. The results of the nomination process will not be fully reviewed and considered until the end of March, Pérez added. As a program is new, the Admissions Office plans to continue it for at least the next year before determining the full extent of its efficacy and success.